If you are tired of jumping from chart to chart or loading up a 1000 of currency pairs on restricted MetaTrader 4 terminal to see what are the best trading opportunities out of the Asian Session, then Sessions Indicator Scanner may be the perfect indicator for you. 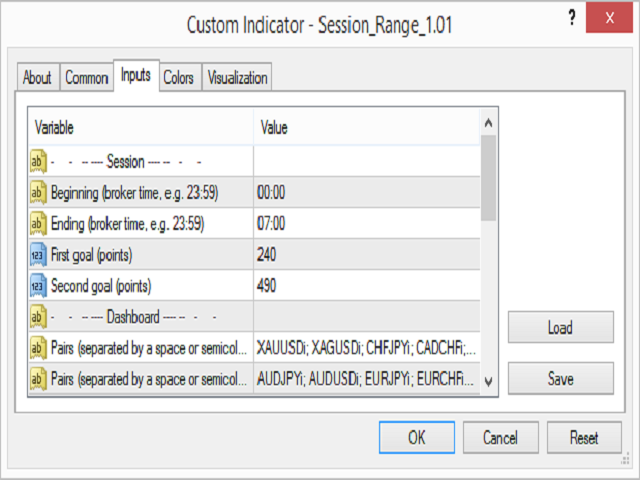 Based on Steve Mauro's Forex training, the Sessions Indicator was developed to scan the entire Forex market at the opening of the London Session and the closing of the Asian Session. This can also be used for those who incorporate breakouts in their training. What the Sessions indicator does is track the amount of pips/points out of the Asian Session to the possible High or Low of the day based on the breakout of the Asian Session. 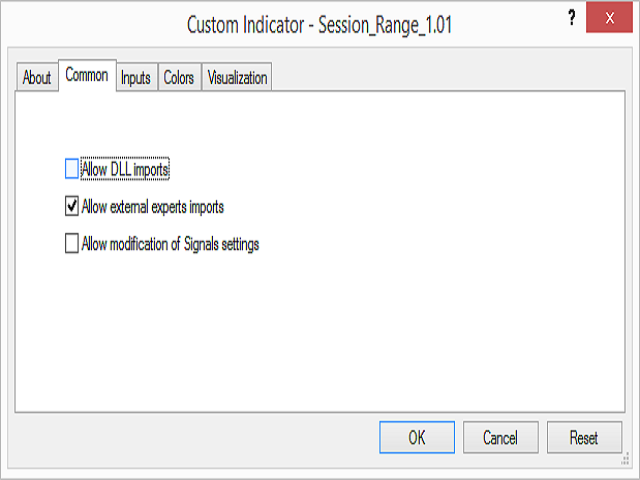 Once the goal of pips/points is met, Sessions Indicator will alert you that the market has reached its goal you specified within Session Indicator settings. The market reset at 5:00 pm Eastern Standard Time. This is known as the Asian Session to many traders. 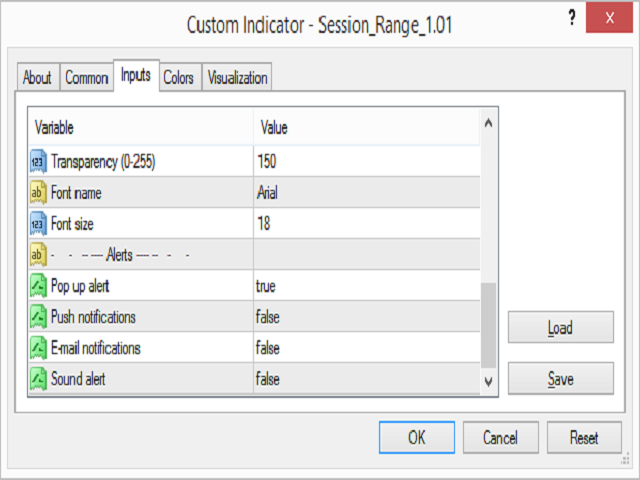 At this time, the Sessions Scanner Indicator also resets to zero on the dashboard. Once the Asian Session is completed, the Sessions Scanner Indicator begins to tracks the moves of the market outside of the Asian Session Range in points/pips. When the market reaches specified goal out side the Asian Range according the values set in the first, second goal input parameters, an alarm will sound indicating that the goal has been reached. The Session Indicator will continue track the movements of the market outside the Asian Range until it resets at 5:00 pm Eastern Standard Time. The Session Indicator only monitors and alerts you the trader of specific conditions that are met within the market and is not a signal service to alert you the trader to take any position within the markets. Session Time: Specifies what time to track the number of pips/points. Goal: As a trader, you will have 2 options of specifying your goal in points. Example: If you desire to receive an alert when the market reaches 25 pips, you as trader would enter 250. 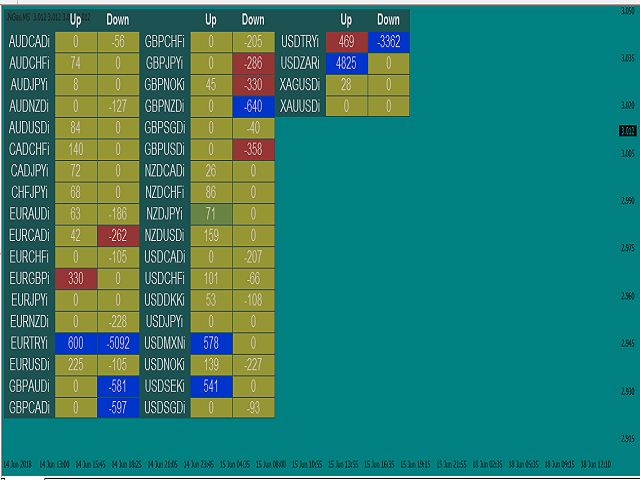 Pairs: Enter the amount of currency pairs you would like to appear on the dashboard. You will have two sections to enter the symbols since all the symbols will not fit or load on that section. Yes, you can also enter cryptocurrencies, commodities, and stocks or whatever symbol your broker provides. Please note: Enter the symbol exactly how the broker notes it in your MetaTrader 4 terminal and a semicolon after each symbol. Example: "EURUSD;" or "EURUSDi;". Color Code: The Color code section will change color once the range specified in the goal section has been met. You can adjust them to your liking. Font Size: Increase the font size to make the Session Indicator scanner dashboard has big as you like within the confines of the MetaTrader 4 terminal. 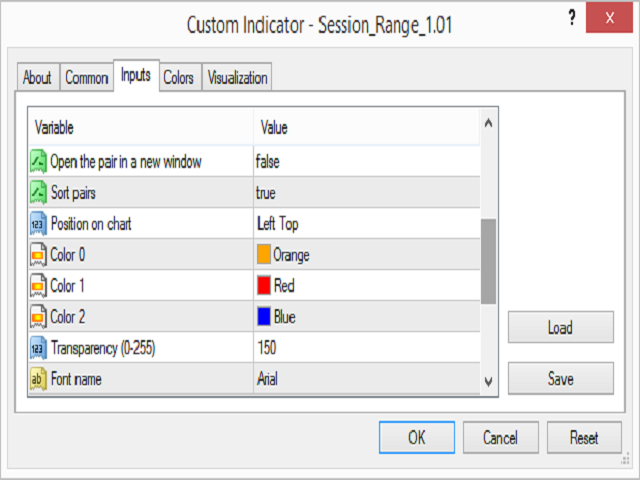 Chart Positioning: Session Indicator Scanner can appear where like within the confines of the MetaTrader 4 terminal. 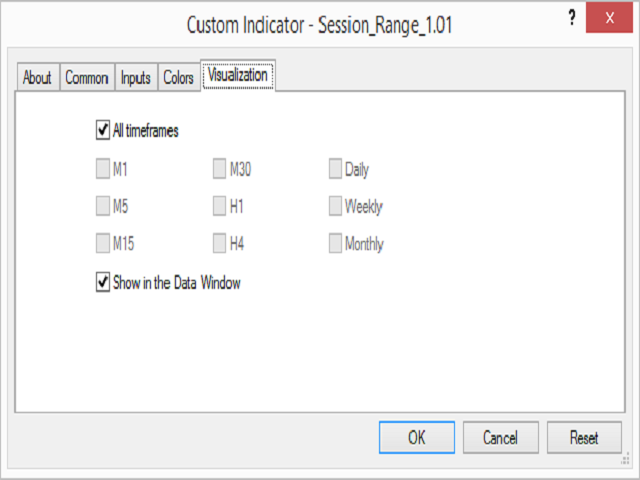 Alerts: Receive Alerts once the range is meet within Sessions Indicator goal requirements. Alerts include: Pop-Up Alert, Push Notification, Email Notification, and Sound Alert. Please Note: A Negative number on the Session Indicator Scanner means the market is in a downward movement. A zero on Session Indicator Scanner means that the scanner has rested for the given timeframe or no movement has happened outside the Asian Session Range. Once the indicator is loaded on the chart it is very important to Right click on the chart and select "properties". 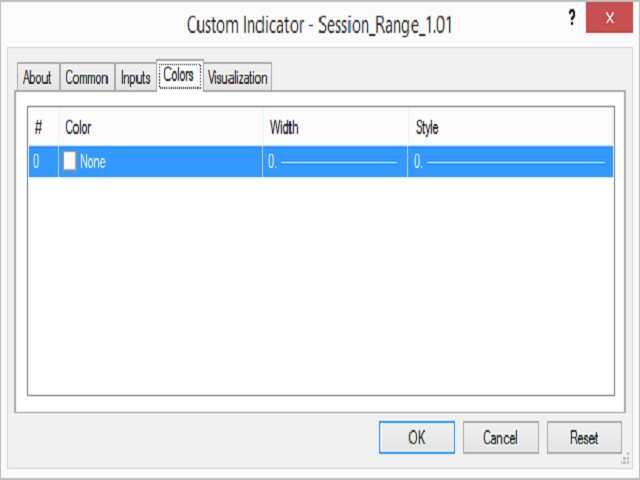 Once "properties" is selected, it is important to select "none" to chart colors that will prevent you from seeing the chart on a clear screen.